Restful sleep is vital to your health. Recent studies in neuroscience have concluded that the single most important factor in maintaining a healthy brain and body, especially as we grow older, is getting enough restful sleep. For most people, 7 hours per night is required to receive the restorative benefits of sleep. Not getting enough restful sleep has dangerous health consequences, threatening the way our brain, heart, and immune system naturally work. Scientists now understand that the long-term effects of insufficient sleep can cause or worsen numerous diseases, as well as mental illnesses. How do we know if our sleep health is poor? 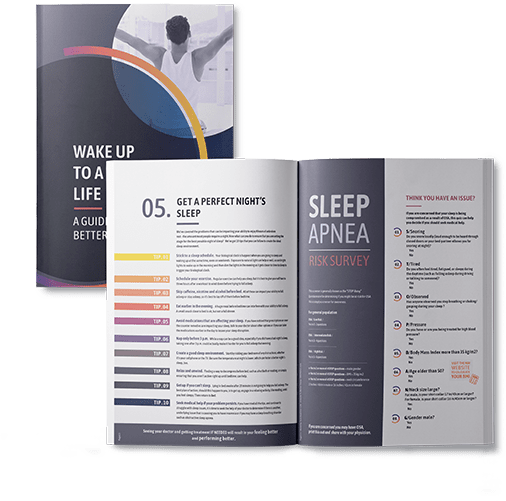 One way is to monitor and pay attention to our sleep breathing – not just snoring, but particularly gaps in breathing, where we stop breathing for 10 seconds or more at a time. This condition happens when the soft tissue in the back of your throat collapses and partially or completely closes your airway. The result is you stop breathing for anywhere from 10 to 120 seconds at a time, and this can happen as many as dozens of times per hour or hundreds of times per night. When breathing resumes, OSA sufferers typically make a gasping, choking or loud snorting sound. That’s why snorers are often linked to OSA, but not all those who snore have the disorder. About 80 percent, or 18 to 22 million, of those adults with OSA need treatment but haven’t sought help. Measuring our sleep breathing can tell us a lot about how restful our sleep is, and how alert or productive we may expect to be the next day. Regular monitoring of sleep breathing patterns can tell if sleep breathing is stable, getting better or getting worse. Have you been told that you snore loudly, or sound like you’re choking when you’re asleep? Or do you wake up each morning with a headache, or feeling that you haven’t slept at all? These are all symptoms of obstructive sleep apnea, a serious but treatable sleep disorder. The statistics about sleep apnea and its effects on overall health can be scary. But instead of worrying about OSA, take action by getting an accurate assessment of your risk. DROWZLE™ is an easy-to-use software program that works through your smartphone to record and analyze sleep breathing patterns. After answering a few questions and setting up a personal profile, you will use DROWZLE at your bedside overnight. The DROWZLE report that will be delivered the next morning provides an accurate assessment of your risk for OSA. With this information, you can talk to your dentist or healthcare provider about new diagnosis and treatment options. Know your sleep breathing risks and take charge of your health! DROWZLE is available through participating employers, dentists, and healthcare providers. Talk to your human resources or employee wellness manager about DROWZLE, or visit Drowzle.com to learn more. By entering your email, we will send you tips and info to help you achieve better sleep health. We promise never to spam you or share your info. OSA is a life-threatening sleep breathing disorder that affects 25 million to 28 million American adults. About 80 percent of adults with moderate to severe OSA are not being treated for the condition. In some cases, adults with severe, untreated OSA may stop breathing for up to two minutes. OSA may also cause or worsen other health conditions, such as hypertension, diabetes, depression, cardiovascular disease, congestive heart failure, erectile dysfunction, and Alzheimer’s disease. However, OSA can be easily and successfully treated. Treatment options have vastly improved in recent years — technology advances with both oral appliances and continuous positive airway pressure (CPAP) devices have resulted in greater tolerability and comfort. Proper diagnosis and effective sleep apnea treatment can greatly improve an individual’s quality of life, and overall physical and mental health. The truth is that you will feel better almost immediately after beginning treatment for OSA. Treatment for OSA also reduces the risk of developing hypertension, stroke, or type 2 diabetes.